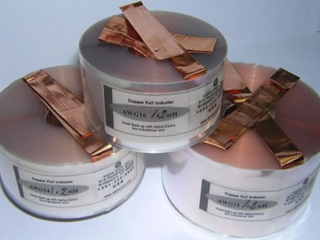 In a perfect world, you could not buy anything but Copper foil air core inductors. The Alpha Core inductor has minimal skin loss, low FM distortion, high Q, low hysteresis, and a great construction consisting of Polypropylene film and 4/9's pure Copper foil. Due to their superior geometry, Copper foil inductors will always have lower DCR relative to their round-wire counterparts. If you wish to hear the music...this is your coil!